You know, I for one would be honored to play Taps for any fallen troop or friend. I have experiance frim my grampa’s funeral and by self-teaching myself. We are looking into protocol for a Memorial Day half marathon run. We anticipate starting our race with an armed forces colorguard. As it is Memorial Day run, would the playing of Taps be appropriate in that setting. It would be the start of the race. 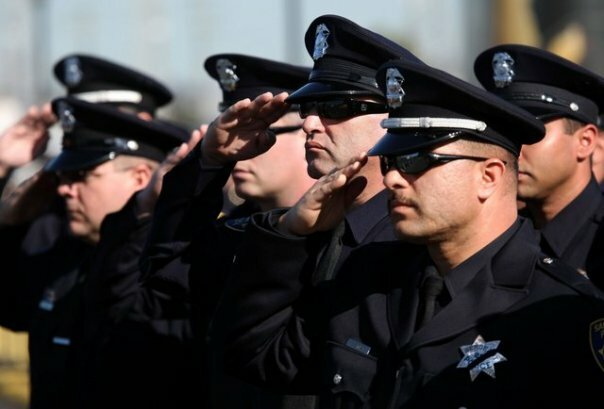 Yes, it would be very appropriate to render a hand salute during Taps if you are a veteran. When Taps ate played at my fathers funeral Thursday would it be appropriate /suitable for me to render a hand salute? I am a U S A F Veteran? In a Veteran’s Day School program, during the playing of taps, should the children stand or sit with hands over heart while the song is being played? 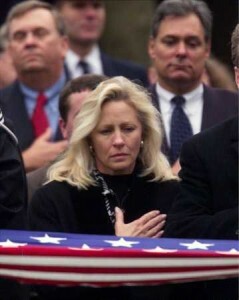 It is not appropriate to sound Taps for someone who did not serve in the military. 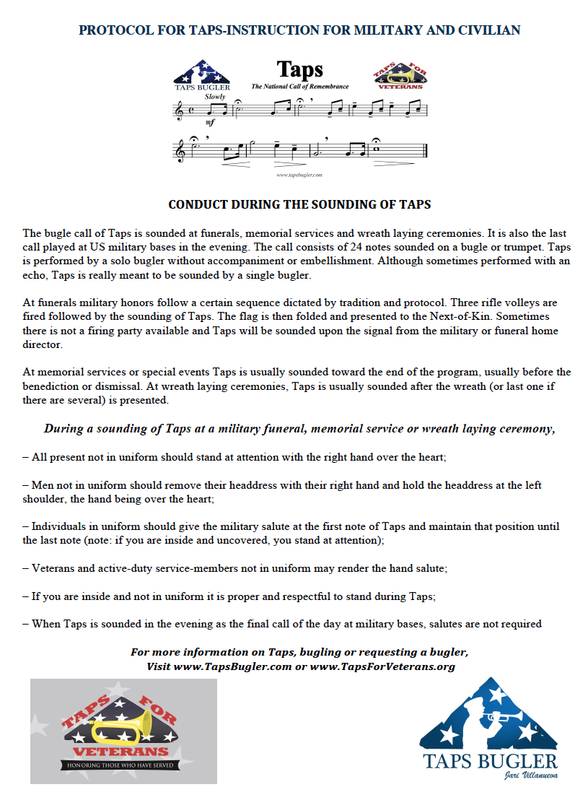 Is it ok to play taps at a funeral for someone who was not in the military?